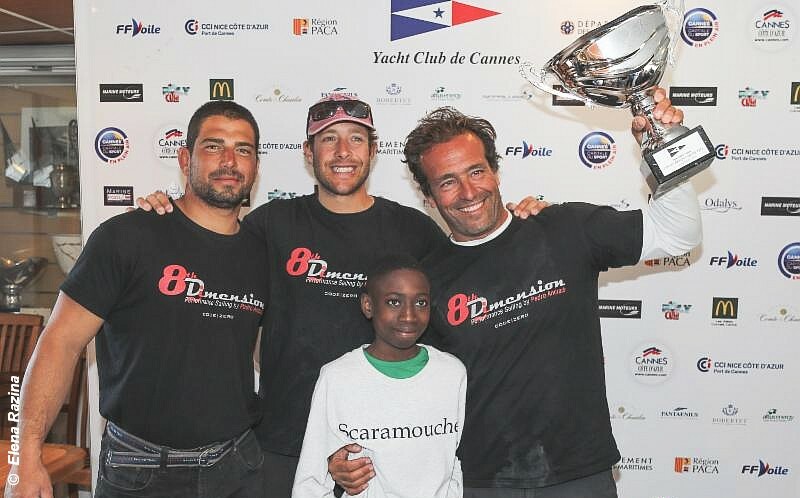 Dragon European Champion Pedro Andrade and his team of top dinghy sailors claimed the Dragon Grand Prix Cannes. Andrade with Goncalo Ribeiro and Joao Vidinha da Costa plus youngster Kacey Marfo claimed first blood in the 2019 Dragon European Cup series by three points from Thomas Müller. Grant Gordon’s second place was enough to secure him third overall, a single point behind Müller. In the Corinthian Division, Germany’s Tanja Jacobsohn, a former 470 World Champion, sailing with husband Bernard Jacobsohn and Jan Scharrfesser, put in another great performance to take the Corinthian overall title from fellow German Maximillian Dohse with Sweden’s Karl-Gustaf Löhr third. Vasily Senatorov also invited all Dragon sailors to join him at a very special Dragon 90th Anniversary Regatta, which is to be hosted by the Yacht Club Sanremo on Italy’s beautiful Liguria coast from 5 to 13 October 2019. Can you tell the difference ?